For some�of us it�s summer time, �for most�of us it�s the middle of the year, for all of us it�s time for a huge dPS sale! If you�ve been a Digital Photography School reader for a while, you probably already know about our huge end of year sale (prepareations are already under way for this year�s). But last year we ran a mid year sale too � and it was so popular with readers � it�s back! See the sale page here for each deal as it goes live. For the next 7 days we�ll share with you a special offer on some of our�own products as well as some hand picked products from our partners. Each deal will be available for only 24 hours, so if you see something you like you might want to act quickly. Over the 7 days there will be a mix of eBooks and courses that have been specifically chosen to help give your Photography a mid-year boost. We thought we�d give our servers a good wake�up call and start�BIG. Save 67% on our two best-selling Landscape Photography eBooks. �Living Landscapes and Loving Landscapes. These two eBooks have been two of our best-selling eBooks of all time and for a limited time you can pick up either one for just $10 OR if you you want to get them both they�re yours with some bonus Lightroom Presents for $19. 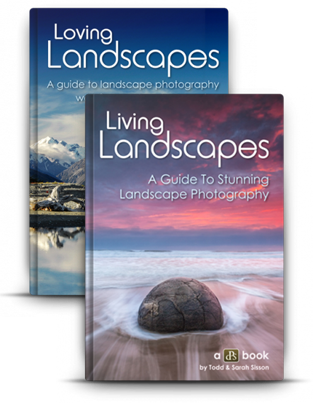 Summer is a great time to get outside and start capturing some amazing landscape photo�s of your own these two ebooks will be a huge help! Normally these two eBooks would cost you $29.99 each but today only you can pick the two of them up for just $19 USD as a bundle! That�s a 66% saving � but be quick, the clock is ticking. � and today�s deal is just the start of a great week. �There�s 6 more great deals to come with huge discounts. To make sure you don�t miss a deal keep you can sign up on our Summer Sale page to get an email notification, or connect with us on Facebook and Twitter and we�ll share the detail with you. Also keep an eye on the sale page here � it has a counter to let you know how long each deal has to run. We look forward to having lots of fun and sharing some great deals in the dPS Mid Year Sale.